Is half the loaf acceptable? No fault, but at what cost? For almost 20 months, Google has stared down a Federal Trade Commission (FTC) antitrust investigation, and circumstances appear to be pushing for a resolution - on or off the company's terms - to arrive soon. Bloomberg reported earlier this week that time is running out for the search giant to offer a settlement. If it doesn't, the FTC will sue in a case that could take two to three years to litigate and cost a fortune to fund. This type of governmental pressure is not uncommon, Richard Brosnick, a shareholder and director at the New York office of Butzel Long, a law firm with offices across the U.S., told TechRadar in a recent interview. What's more, Brosnick, who does not represent Google or the FTC, said he anticipates the company will offer some sort of relief to avoid a suit, though one that's not based on a monetary figure. The probe, from Brosnick's perspective, has focused on whether Google has fixed its search algorithms to favor its own downstream businesses (like travel), as well as accusations that it fiddled with its ad words pricing structure in a prejudiced manner. "An unfair mode of doing business," he called it. 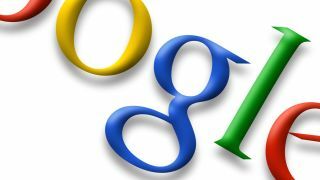 Reports indicate that four of the five FTC commissioners are in favor of suing Google. However, in the fast world of the web, where poor search rankings can sink a business in a matter of days, the courtroom is likely too sluggish to offer proper satisfaction. "When the government finally prevailed with Microsoft, Netscape was out of business for years," Brosnick said, referring to a late-1990s trial that stemmed from an FTC probe (and eventual Department of Justice investigation) into whether Microsoft abused its monopoly of the PC operating system market. "There's a certain argument in antirust law that the web moves too quickly for normal litigation processes." While a lawsuit loss could see hundreds of millions, if not billions, come the FTC's way, it would offer little tangible relief to the companies Google is allegedly harming. Should Google lose a lawsuit, it would be left open to suits by competitors, Brosnick said, as a loss would portend liability. A settlement is likely its ideal option, though a Google olive branch won't come down to writing a check that makes all of its problems go away. "I highly doubt that a settlement would be based on money," Brosnick said. "What I'd expect to see are conduct remedies. Google would have to agree that it would limit what it would otherwise be free to do. It would be agreeing in a settlement to restrict its practices." Though the FTC would lose out on hitting Google hard at the bank, the larger goal of keeping competition intact would win out. "The government will try to get an early settlement because if it can get a large chunk of relief, it's preferred to litigating for several years." Brosnick has appeared before and litigated against the FTC concerning a variety of antitrust matters, so he's familiar with the governmental legal process. "It makes sense from the government's perspective to try to protect the market, even if it means it doesn't get 100 percent. "The harm that [the FTC] believes is being done is already being done. They want to take half a loaf and get something sooner." Google won't enter into a lawsuit on the principle it's right, Brosnick reasoned, and would only refuse to settle on terms that attacked the core of its business, such as having to turn over its algorithms for FTC approval or giving the agency final say on pricing.